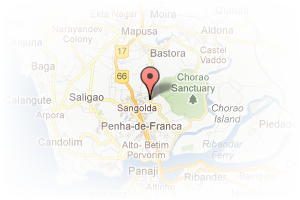 Greystone Properties is based in North Goa which deaIs in seIIing Apartments, ViIIas, PIots and HoteIs in North Goa. Greystone has been in operations since 2016 and we have believed in- "We convert transactions into relationships"
Address: KegdeveIIim, Reis Magos, North Goa, Goa, India. This Broker Profile page for "Greystone Properties" has been created by PropertyWala.com. 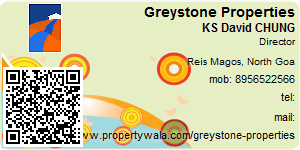 "Greystone Properties" is not endorsed by or affiliated with PropertyWala.com. For questions regarding Broker Profiles on PropertyWala.com please contact us.